Fall is the time of rich and saturated shades! Look bold everywhere including work – embrace the season rocking all the possible hues of this beautiful season! 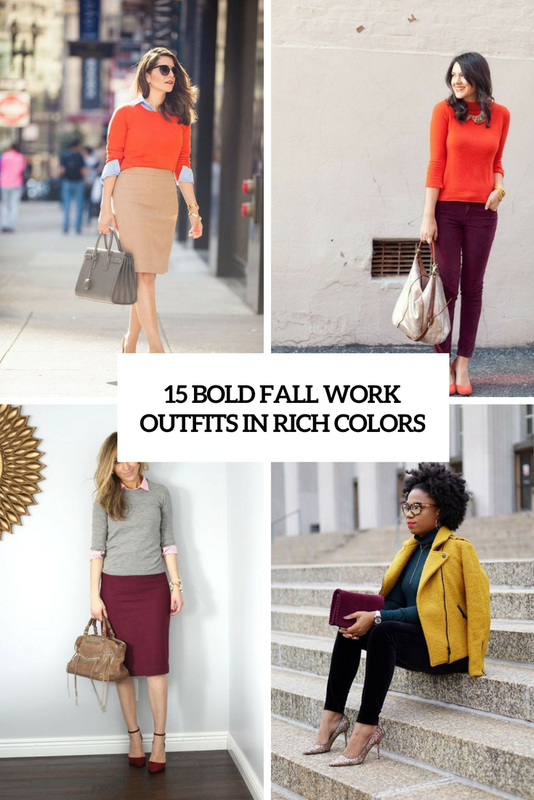 Today I’m sharing the hottest ideas of fall work outfits done in bold shades of the autumn coming. We’ll see how to wear burgundy, plum, emerald, mustard, rust and orange. Let’s start! 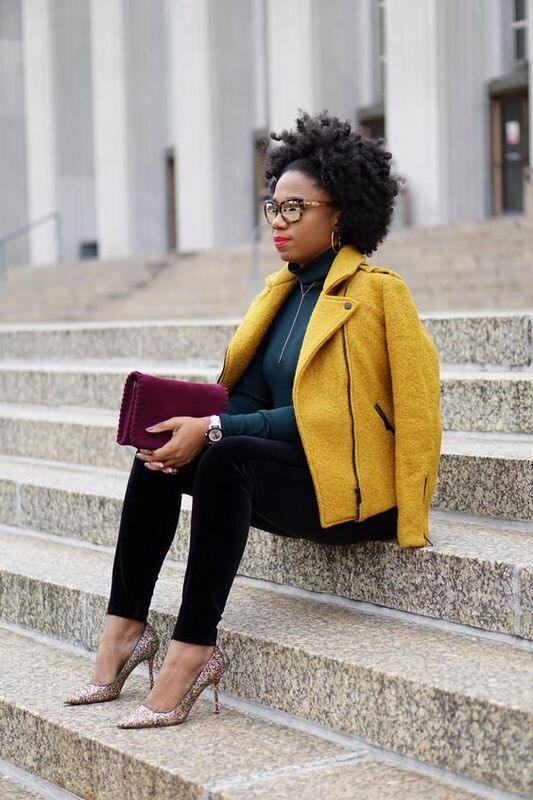 Rock a bold fall-colored skirt – better a pencil one and add a neutral top or go for color blocking wearing a colorful top, too, but of a different shade. Another way to add color is to put on a colorful blazer, cardigan or coat or boots and a bag. A bright fall-colored dress is easy to style with tights, boots and a blazer, take a bag and you are ready to go! Rock bright pants this fall! Pair them with a berry-hued or a neutral top or turtleneck, add shoes or boots of your choice and a bag. Aren’t ready for too much color? Rock a bright jacket and add printed shoes even with a neutral look or a dark outfit and embrace the fall!